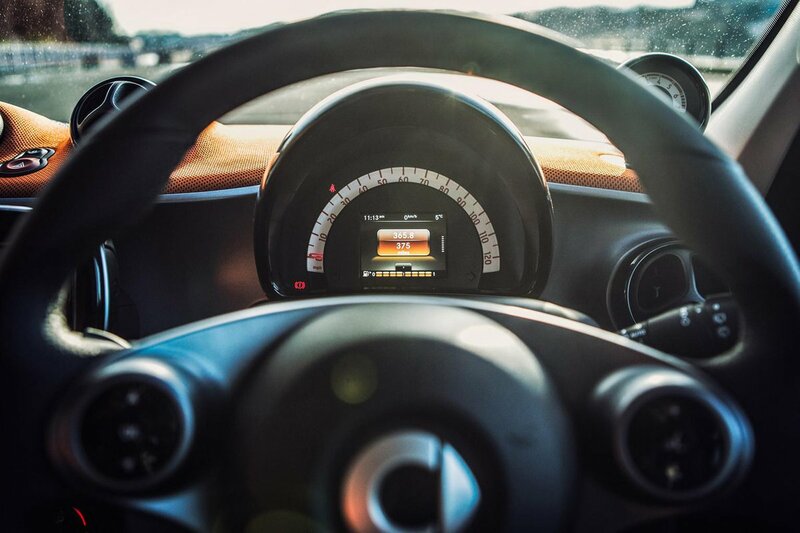 Smart Fortwo Interior, Sat Nav, Dashboard | What Car? Both the steering wheel and driver's seat have height adjustment as standard, enabling you to find a decent driving position. It’s not perfect, thanks to a lack of steering wheel reach adjustment, but the same is true of the Up. 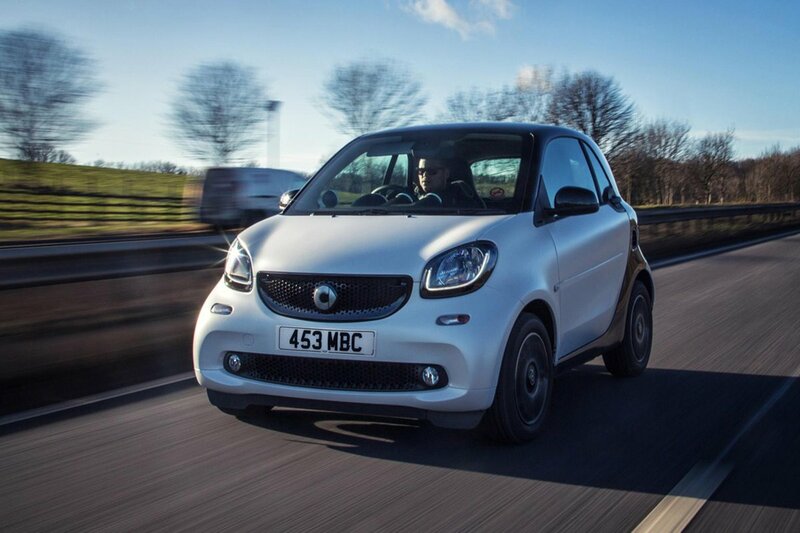 You sit quite high in the Smart, giving a good view forwards, but the Fortwo’s thick rear pillars obstruct over-the-shoulder visibility. Add the reasonably priced Premium Plus pack, though, and you get a rear-view camera as well as auto lights and wipers, to help keep you seeing more, more of the time. The cabin is solidly constructed, with an attractive array of glossy plastics set against a fabric dash, although it is difficult to ignore some of the cheap-feeling, Renault-derived switchgear dotted about the cabin. 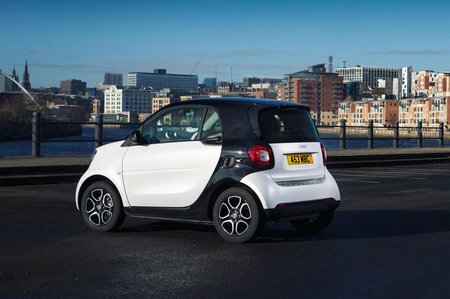 Smart's inbuilt 7.0in Media touchscreen is actually a Renault unit, too. The menus can be unresponsive and a little confusing, but you get Apple CarPlay and Android Auto smartphone mirroring as standard, which lets you bypass the Renault software and use your phone’s functions, such as internet radio and sat-nav, instead.